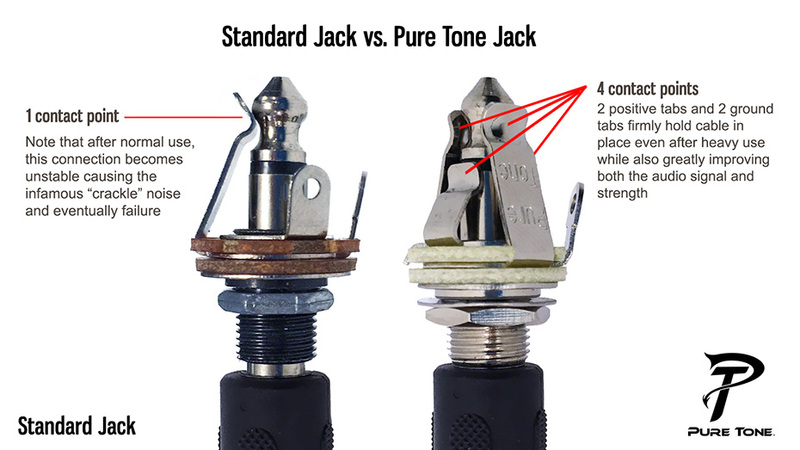 The Pure Tone jack contains dual tension grounds and dual tension positive tips for optimal signal and lowest possible noise. 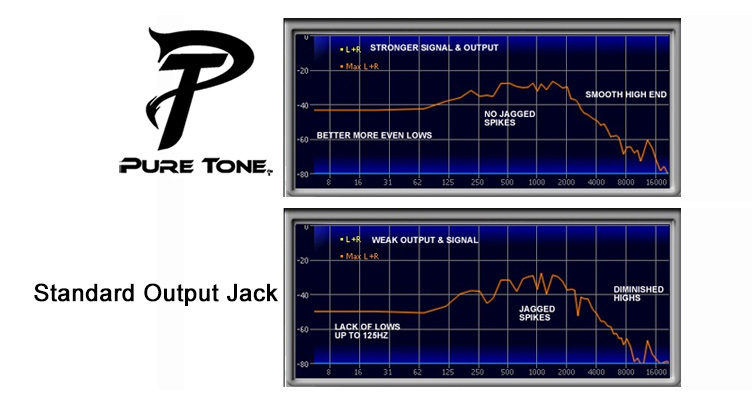 100% surface area at all contact points creates a more stable connection; as a result, high and low frequencies are greatly improved creating a much more balanced sound while eliminating frequency spikes. No more noise crackle caused by pressure grounds! 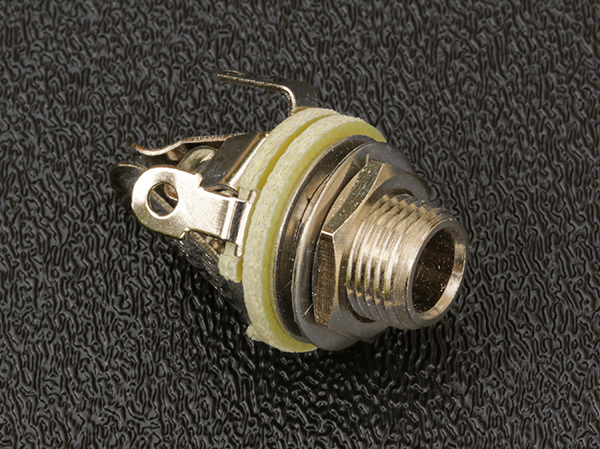 The Pure Tone jack allows for increased current handling at 500 volts for high current applications. 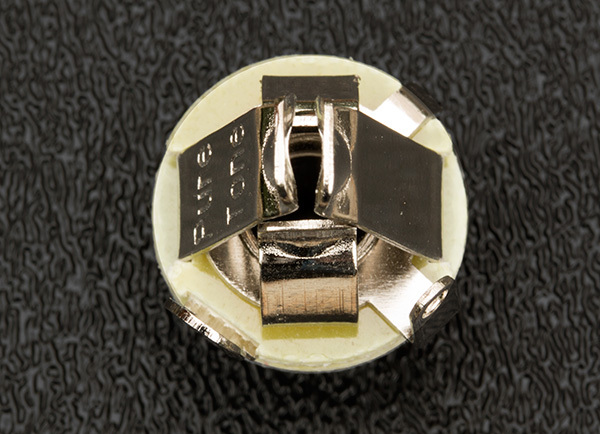 Tensioned design locks cable securely in place while the increased metal mass carries more signal. Manufactured in China. 1/4" Barrel Length or Mounting Length. 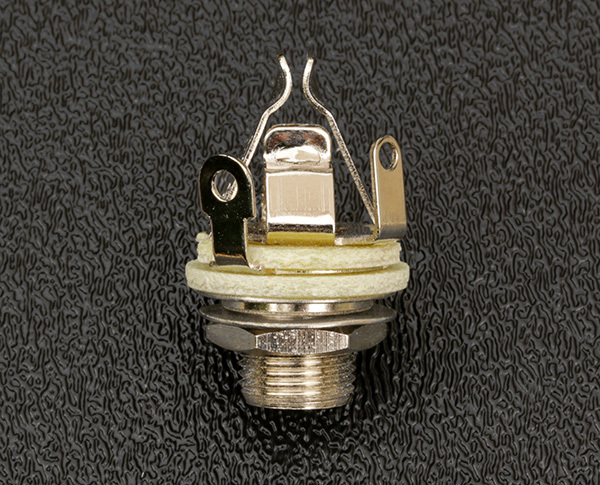 Includes Securing Nut & Flat Washer. 3/8 - 32 Mounting Bushing Threads.